I just listened to the interview with the Irish comedian (Maeve Higgins) and was struck by the cultural snobbery and ignorance about immigration issues in the US. She and Rick boiled down enforcement of immigration laws to racism and fear. I can get that BS on the evening news so why would I want to hear it in a TRAVEL podcast? Rick Steves was my original source for video on travel. I got on to the podcast format later, and he’s a delight to listen to. I have so much respect for his brand, which encompasses so many formats and causes. I have his theme song as my phone’s ring tone! I was really looking forward to going on a Rick Steves tour on my first trip to Europe. I’ve been listening to some of his podcasts and while listening to episode 527, it just got too political. Please leave your political and social views at home. Now I’m having second thoughts about using his tour company on my first European trip since that podcast was so off-putting. I love listening to the tour guides on his show but don’t like constantly listening to his opinions. I thought the podcast was supposed to be about travel. Spot on with this Podcasts. Always asks and answers my next question before I think of it! I wanna grow up to be like these folks. Covers more than Europe which is appreciated to include US and Canada. Outstanding!! Good podcast, terrible download speed. I loved Rick on TV and this podcast is just a great continuation of that show that I can enjoy while driving. My only beef is the turtle slow download speeds. It shouldn’t take 1 1/2 hours to download a single episode but every week that’s how long it takes. No other podcast I listen to has this issue. And I have this problem over cell or Wi-Fi so I know it’s a server/bandwidth issue on the server side. I can’t even think of downloading past episodes to load up for a trip because it would take days! I love Rick and all he does, but this podcast seems to be so d up. They are talking so fast that I got anxiety from listening to it! Great travel information with a fantastic array of locations. I like Rick's family-friendly style, practical tips, and the way he brings my wanderlust to life. So fun and relatable. Love these podcasts! There’s always something new and exciting to plan for. Every once in a while there’s a download glitch, but I thoroughly enjoy and recommend this show. Keep up the great work! Rick steves? Hell yea bro. He’s so good and he talks about this stuff that so good bro. If there was 10 stars I would give it to Rick steves. Two first names is funny but it’s really his name I think. And he has a tv show too so you should watch that because he shows where he goes to at the same time he talks about it. I listen to each episode though I may not be planning that adventure. If I have been to the locations on the schedule it reminds me of a wonderful time and if the episode involves somewhere I may not be planning I listen to the vivid, detailed and absorbing experience and learn something. Like many Americans Rick Steves took our hand in the 1990’s and got us going on trips all over the world. We acquired the “back door” spirit that took us all over Europe, the UK, Russia and Africa. Rick a Steve’s has broaden his appeal by suggesting all levels of travel and I have always loved his “splurges”. I really enjoy the show. It takes me back to places I’ve been and into new territory I’d like to go to. However, I can’t stand listening to the guest being interrupted time and time again. I get that the radio show needs to go in a specific direction but there are certainly other ways to achieve that goal without interjecting comments on almost every thought the guest makes. Besides that I really do enjoy being teleported around the world in a very passionate manner. Rick Steves Podcast needs to stick to travel destination info and practical trip planning advice. This is not meant to be a political podcast but thats what it has become. I am on the verge of unsubscribing to a podcast that I had enjoyed for years. Very Sad. Please lay off the one sided pro EU political propaganda and get on with the travel talk. I really like this podcast, but it seems like there are so many episodes about Italy. I know that Steve mainly travels to Europe, but I would love for him to speak to more people from other continents. Not everybody sees Europe as their top destination. Regardless, I love falling asleep to this podcast because of Steve's soothing voice. Always an enjoyable, easy listen that provides a glimpse of life around the world and more. Rick and his guests share inspiring and actionable insights and tips on everything you want to know when it comes to travel. Highly recommend listening and subscribing if you have the desire to travel, and want to learn how best to do it (AND where to go)!! Always sharing amazing facts, inspiring stories and great laughs! Keep pioneering the travel conversations! I'm an avid traveler (33 countries! ), and I learn so much every time I listen to this podcast. In addition, the enthusiasm and joie de vivre of Rick and his colleagues is palpable. Love it! You can’t go wrong with Rick. Whether it’s watching him on PBS, reading his books or listening to his podcasts, you always get great tips and valuable information for all of your traveling needs. I especially love the interviews - they’re so informative! Rick always has great travel tips, but what I enjoy most is learning about the culture. I find it interesting and it helps me put things in context when I'm actually in the country. Recommended! This is the podcast I would recommend to anyone - whether you are planning travel or not, if you'd like to learn about other cultures, dream about traveling, or relax while listening - Rick Steves interviews people from around the world, and opens our eyes to making friends and understanding in a world that is smaller but more wondrous than ever. Rick S. has been my travel guru since my first trip to Europe in 1989. The 7 countries in 21 days sort of trip you can only do when you're young because who has that kind of energy and time, now? Also, I got to meet him and call him "guru". Witty, smart, he knows what back doors to go through to make your trip really special. We’ve been long-term Rick Steves/ETBD followers, but this is our favorite way to get new travel info. Since we can’t always tune in to the NRP version, this gives us our weekly dose of travel inspiration. One of the best features is Rick interviews a lot of interesting authors - we’ve found a lot of great reads (not just travel books either) from these podcasts. ALSO great that this covers lots of Non-European destinations!! I would love to travel, but due to money and family I can't listening to Rick Steves I get to go all around the world. I also have to say he has great authors interviewed on his shows. Some of the best books I learned about on this show. When the world unites in harmony one day, that day we will celebrate people like Rick Steves who help bring people together through cultural awareness. Great podcast with wonderful guests and fantastic interviews. Definitely worth the listen. Highly recommended! Rick is a great host. The show is always interesting and insightful. Great quality. The podcasts are the perfect length and the content is inspiring. Way to go Rick! This podcast is incredible and has given me so many incredible ideas on traveling throughout the world! I love to listen to these podcast while I'm at work or relaxing. I feel like I learn so much about the different places and cultures. I love to travel but have never been out of the country. I strive to be successful someday so I can travel to all the wonderful places Rick talks about each week. Thanks for the podcast and keep up the great work! 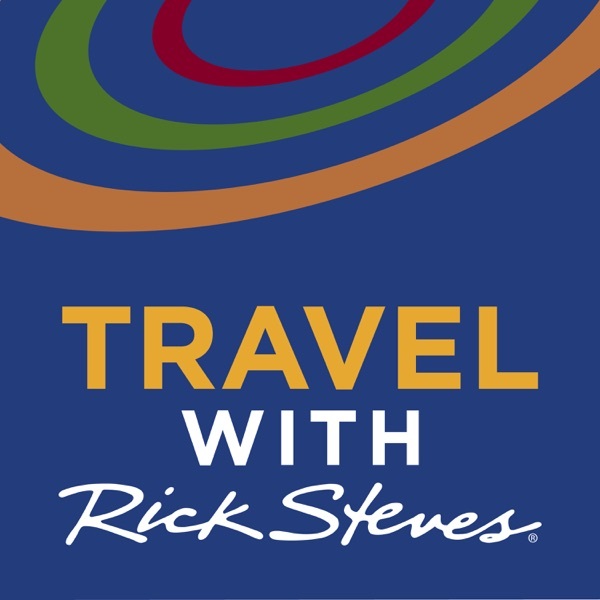 This program is great; Steves talks with all kinds of guests from all over to help the listener get the most from traveling experiences or prepare for their next trip in an entertaining way. I'm not even picky about the destinations he discusses, because I know that I'll learn something. I enjoy listing to the show even if I'm not planning in traveling there in the near future. It creates awareness of the world and keeps me dreaming. Thank You! Steve always has interesting topics and guests! Better than the TV show. I love the Rick Steves podcast. It's a great combination of cultural appreciation travel info that has helped me & entertained me more times than I can mention. It's a highlight of my every Monday. Thanks Rick. When the show content is new, this is one of my top five podcasts. I first started listening to it about a year ago, and then downloaded a few dozen of the old shows. His interviews are great, and his travel advice is extremely helpful. The podcast introduced me to the public tv show and the travel guides, which are both fantastic in their own ways. The one thing to watch out for is re-runs. I understand the Rick has spent a third of his adult life in Europe, so he's on the road a lot, but it's a little frustrating to see a new episode pop up in my itunes, and start listening to, only to realize I've heard this show before. But other than that, this show is perfect if you're at all interested in travel or foreign culture. I love the books and the pod cast. He is the best. ...and if you have ever actually lived in Europe, forget it. It tends to lean on tired stereotypes and clichés, and also tends to repeat things over and over. It has an awfully stodgy feel to it. The audience is clearly middle-aged, middle-class Americans who want to travel to Europe...and don't want their horizons expanded too much. I was subscribed to this for a long time but finally couldn't take it anymore.